As electric vehicles continue to capture the attention of consumers and governments around the globe, the future adoption of these vehicles is seen by some as a key enabler of lower worldwide carbon emissions. While the global spotlight on sustainability increases, wider collaboration among stakeholders is necessary to bring the prospect of electric vehicles to fruition. SAP AG and Siemens IT Solutions and Services, Inc. finalized a mutual working agreement during GridWeek 2010 in Washington, D.C., that will set the stage for establishing an eCar proof of concept (POC). 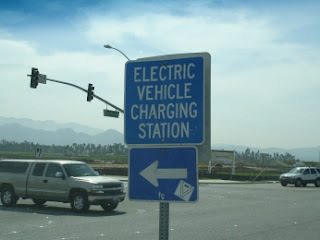 The POC is intended to demonstrate the cross-industry collaboration necessary to support widespread viability of electric vehicles through development of new and use of existing enabling technologies such as advanced metering infrastructure (AMI), which can interconnect meter data across multiple charging stations and support anticipated transaction scenarios across various utilities providers. The collaboration efforts drove the respective parties to form a work group that will assemble a sub-committee to the SAP AMI Lighthouse Council, of which Siemens IT Solutions and Services, Inc is a member. The sub-committee, the Sustainable Utility Committee (SUC), will lead the charge on enabling e-mobility. Siemens Energy will supply a physical charging station as well as access to an e-mobility network operating center, which will enable communication between the charging station and various back-end systems. In addition to the Siemens hardware, the back-end system will initially include software from SAP and others as required by the use cases for Siemens IT Solutions and Services Inc, to properly integrate and perform end-to-end workflow processes for the utilities. The initial design will leverage the Siemens technology at the device and network level and integrate respectively into SAP® for Utilities solutions. "Siemens prides itself on delivering the future of energy today. Siemens and SAP have successfully done this work in Europe and now it is time to introduce it to North America," said Holger Kormann, vice president, Energy - North America, Siemens IT Solutions and Services, Inc. "What test-bed environment could be better than that which has set the tone for standards and excellence with the SAP Lighthouse Council. The council has acted as the 'voice of the utilities community,' providing the connection between utilities of all types and industry leaders as they develop their technology and solutions for the future." The work group is looking toward a sustainable future by working on clearly defined use cases. As part of phase one of the POC, the group intends to demonstrate the end-to-end process integration of measuring energy consumption and generating an invoice of an eCar charging at the "home" utility. It will also cater to the roaming use case where a "guest" utility is involved - for example, how a student living in one state could settle electricity costs incurred during cross-country commutes via their local residential bill. Additional charging and billing scenarios such as measurement and billing process for a "pro-sumer," where the customer is also a producer of electricity, are planned to be developed once the initial POC is complete and select utilities will be targeted for unique use cases. "In areas such as smart grids, AMI and carbon measurement, SAP is helping companies across multiple industries by delivering business solutions that integrate and enable all areas of a smarter and more sustainable energy ecosystem," said Henry Bailey, vice president, Industry Business Solutions, Service Industries, North America, SAP. "This partnership further underscores the decisive steps we are taking to realize our vision of making the world run better, enabling new business models and economies of scale by helping validate and optimize power generation and distribution for the electric cars of tomorrow." A demonstration and results of this effort are planned be provided to the utility community early next year and initial participants are expected to be announced over the coming weeks. Technologists and utilities are invited to participate in the Sustainable Utility Committee and assist in making e-mobility a reality.